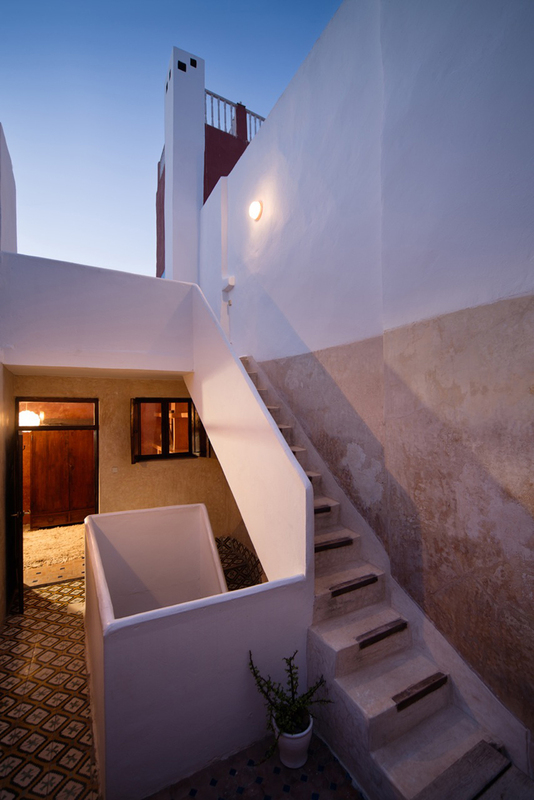 Dar Emma — Castles in the Sand - Boutique luxury holiday villas to rent in Essaouira, Morocco. 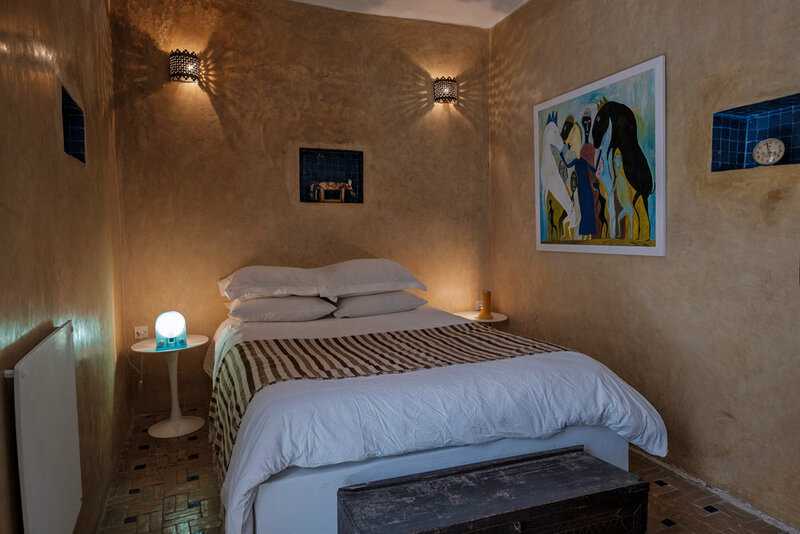 DAR EMMA, is a charming, little 2-bedroom hippy house nestled at the front of Essaouira's fortified medina and is very well situated being 2 minutes walk to the main square, Place Moulay Hassan and approximately just 10 minutes walk to Essaouira's long sandy beach. 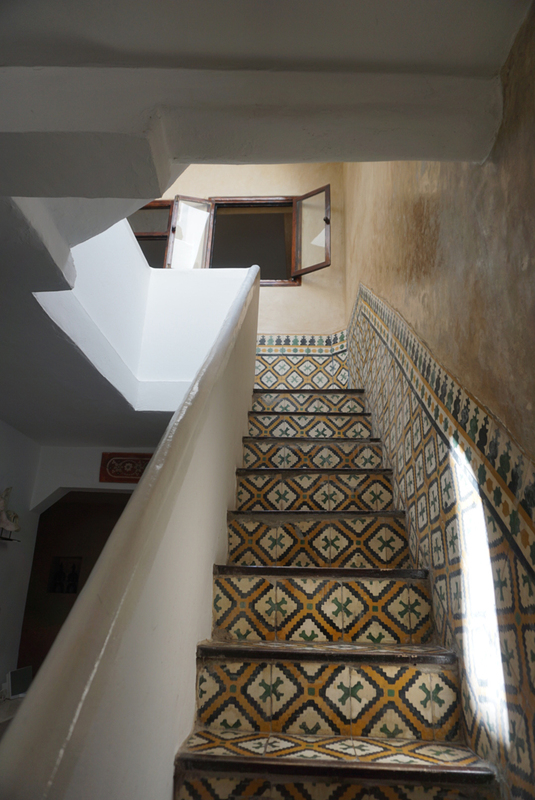 The style is very traditional with thick stone walls and original patterned tiles on the floors. 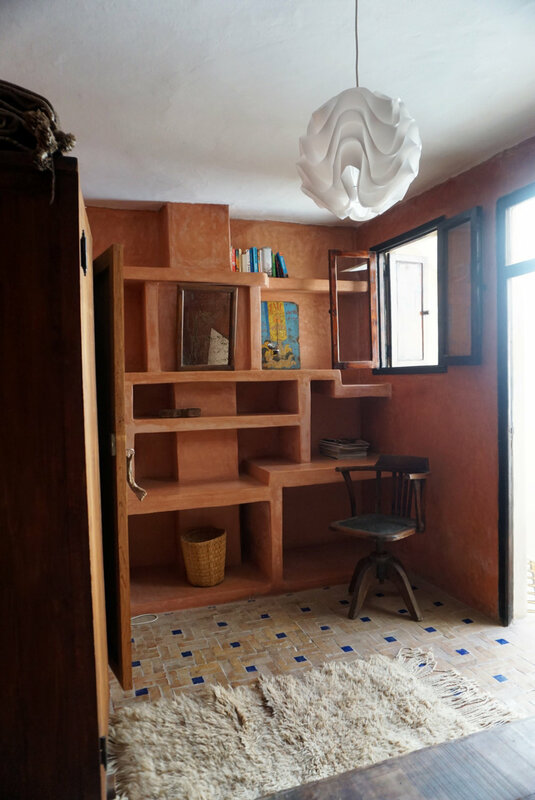 It is furnished with a mix of modern 1960's pieces plus a few Moroccan artefacts thrown in. 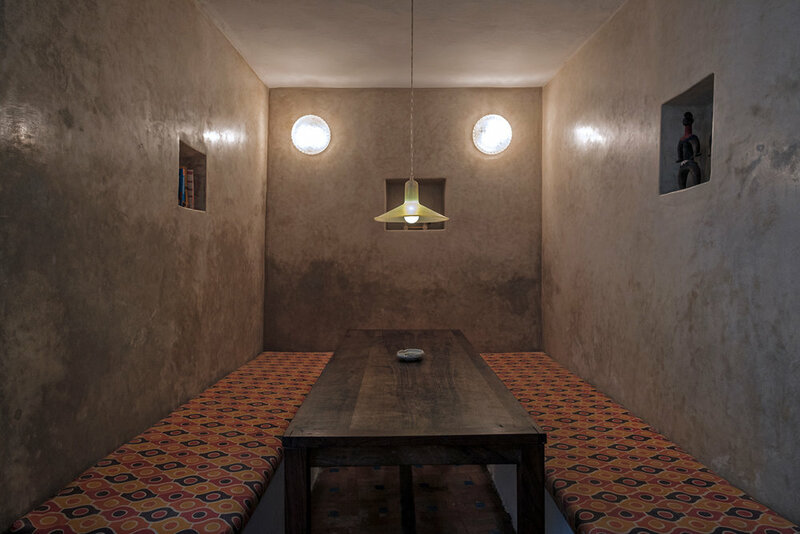 You get a feel for 'the real Essaouira' when staying at Dar Emma - there are a handful of Moroccan families living in the small side street, all very friendly and making life a lot more interesting than if staying in a hotel. 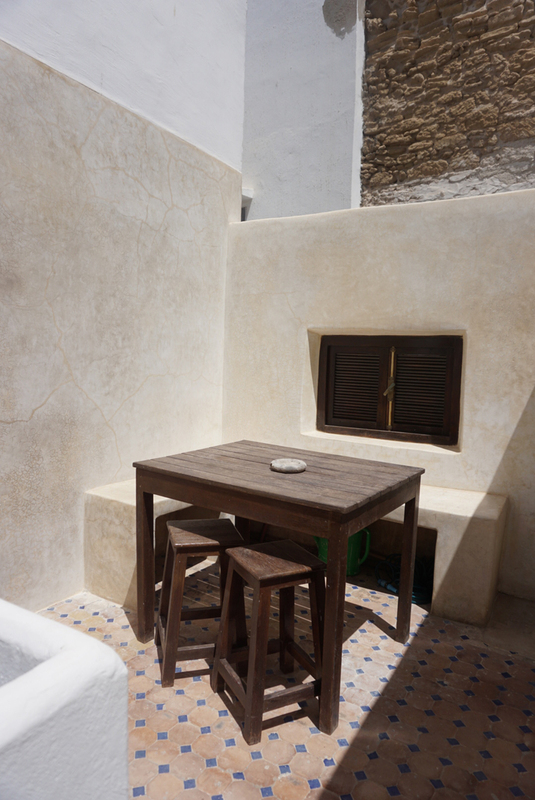 Ground level: The ground floor has an open plan dining area with fire place and a small kitchen around the central courtyard. 1st floor: There is a cosy double bedroom with a shower room opposite. 2nd floor: Features another double bedroom and a small terrace with an outdoors dining area. 3rd floor: Go up again to the 3rd floor terrace, it's the perfect place to chill out, decked out with comfy cushions and a couple of director chairs, so you can truly relax and unwind in comfort. Rented as whole house, no other guests! An information pack with a restaurant guide, information on Hammams, horse riding, quad biking and other activities is provided. Special attention has been made to make your stay as comfortable as possible. Help and advice for anything you may need is provided. Your host will arrange a personal tour (on foot) of the local hot spots and Medina area, if required. 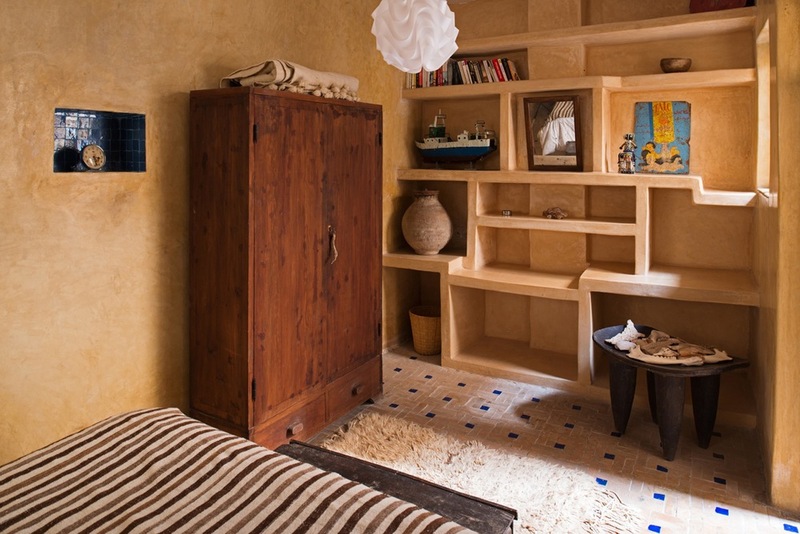 Transfers to and from Marrakech can also be arranged upon request. Please contact us for more information.